The Epic Journey continues… We are heading to South America to the peaks of the Andes Mountains!!! Some of the world’s best riding and skiing is in the mountains of Chile and we put together a mix of the best. As we always do, we’ve worked with the area’s most trusted reps to bring you the best resorts, terrain, and local flavor. After all, when you travel to the other side of the world you’re going to want to take it all in. Snowboard or ski at Nevados De Chillan and Los Andes, stay 2 nights in Santiago and tour Chilean wine country! You’re going to want to experience the city of Santiago in Chile. With our scheduled “leisure days” to hang around town you’ll have free time to acclimate yourself to the culture. We’ll have 2 evenings Friday night the 19th and again Wednesday the 24th, as well as a full free day on Thursday the 25th – to check out the museums, cafes, wineries, and local shops. OvRride never leaves the nightlife out of our plans. 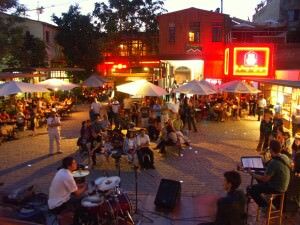 Our 2 nights in Santiago are strategically set on a Friday and the Wednesday evening of the local event “After Office Night” (local legendary night out). You’re going to want to check the unique local culture after dark. You can Enjoy the spectrum of Santiago from beer-by-the-liter & plastic tables, to fine dining & glasses of local artisan wine. When we arrive at the mountain we’ll be staying at the most comfortable modest accommodations right in Las Trancas on the mountain road. You’ll be able to reach most of the village by short walk or cheap shuttle, perhaps most notably the natural thermal spas. It’s like a hot tub on steroids right at the base of the mountain. The CAT ride will take you to the top of untouched terrain and a the best local guides will be corralling the experience as you descend some of the freshest snow in the world. No chair lifts for this one. It’s a cruising ride up on the CAT and an unforgettable shred down the big back bowls of the Chilean Andes. There is additional cost for this experience but it will surely be priceless. 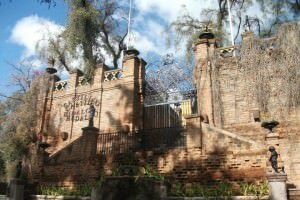 This entry was posted in Trips and tagged CAT tour, chile, Los Andes, Nevados De Chillan, Santiago, South America, Southern Chile, Summer, Summer in South America, wine, wine tour. Bookmark the permalink.